Are Patents Getting Their Mojo Back? This past year, it has been all about how patents, as an asset class, were being devalued by a perfect storm of new judicial, regulatory and legislative activity. Especially in the US, Courts have been busy dismantling much of the established case law that had created some predictability over the years as to the main pillars of a healthy patent ecosystem, i.e., how we determine which patents are valid and infringed, how much in damages should infringers pay and who ends up paying for the winning party’s legal fees. Meanwhile, Congress has been up in arms against the perceived abuse of so-called patent trolls and sponsored no fewer than 6 different bills on the Hill, most of them intended to further weaken patent holders’ rights. Finally, the newly created PTAB has been axing most of the patents that it was asked to review under the new Inter Partes (or Covered Business Methods) review created 2 years ago under the new America Invents Act (AIA). All of those efforts and actions were conducted under the common narrative of seemingly needing to curb down patent litigation and discouraging along the way patent owners who were not the original inventors of the issued title. Yet, the campaign above has definitely taken a toll on NPEs. Many of them who are public IP companies (aka PIPCOS) are now trading as “junk” stocks (e.g., Inventergy) or had to do an aggressive reverse stock split to avoid such fate (e.g., ITUS), while others have had to merge (e.g., Marathon and Uniloc) in order to survive. In most cases, their stock is in sharp decline compared to a year ago, reflecting a consensus that the NPE business model has been considerably damaged by the recent events. In Q2 of 2015, the best performing stock in all major PIPCOs was ironically that or RPX, a defensive NPE which benefits directly when patents are devalued as it can acquire them cheaper to prevent them from being asserted. Second, the Federal Circuit is starting to rein in, albeit very modestly, the PTAB’s “ain’t seen a patent worth keeping” attitude to date by slapping it on the wrist a few times these past weeks. The Court also issued a very important decision a week ago in the Akamai case that should make it much easier for patent holders to prove direct infringement by companies that perform all steps of a patented method claim, except for the one step which involves the customer operating a device (e.g., a TV) the way it is intended to. Until recently, this case could have been rejected under the theory of “divided infringement” and required the higher burden of proving an intent to induce customers to infringe the claim. Third, after a lot of bad press lately in the IP community, the PTAB is also trying to put its house in order and the acceptance rate of petitions to challenge the validity of a patent based on prior art appears to be going down, apparently down to ~ 50% according to recent statistics issued by the USPTO head Michelle Lee). . It will take more time and further data to confirm whether this is a trend or an anomaly, but we do not see how the USPTO can support its own offspring invalidating most of the patents it has issued, as this points directly back to its own incompetence. Speaking of the USPTO, it has been busy issuing new guidelines to find a “pathway to eligibility” for patent applications that could be deemed ineligible on the ground that “abstract ideas” are not proper subject matter under the Patent Act (Section 101). This new test since the Supreme Court decision in Alice has significantly affected software related patents – any of the courts have invalidated over 70% of those it has reviewed under that doctrine. Someone still needs to explain software development to judges, but at least we see an effort at the USPTO level to remove the current stigma over such inventions. Finally, the same UPSTO is proposing new guidelines (i.e., sanctions) to put a damper to the recent short-selling game that some wealthy hedge fund managers have played using the IPR process as the trigger point. This in turn will favor patent holders against such schemes. In short, although the pendulum has by no way stopped its course and there are still many forces at work that wish to push it to swing even further (and it will take years for the US Supreme Court to revisit some of its decisions), its momentum has definitely slowed down and the rhetoric that has prevailed in the past years is finally clashing with the absence of supporting facts, while there is now a genuine concern that a weakened patent system might discourage investments in R&D and hurt the US economy in the long run. Louis Carbonneau is currently CEO of TANGIBLE IP, LLC, a patent brokerage and strategic intellectual property advisory firm, focusing on IP strategies, patent sales and licensing programs. Mr. Carbonneau is a recognized expert in intellectual property with close to 30 years of professional US, Canadian and international experience in all facets of intellectual property law and business. He is a former patent litigator with a national IP boutique firm and the former General Manager of IP Licensing at Microsoft Corporation where he spent 15 years. The prestigious British magazine Intellectual Assets Management (IAM) recently named him for the fourth consecutive year as one of the World’s Leading Intellectual Property Strategists. The proxy of litigation is an excessively poor one for patents and innovation. Yes… unfortunately the proxy of litigation become increasingly more necessary as it becomes excessively poor for patents and innovation. It’ll be years before it is no longer a CEO’s fiduciary duty to steal inventions from small inventors and massively commercialize them. Respectfully, your second statement shall never come to pass. Stronger patents would create a bigger dis-incentive. And quite frankly, we are steamrolling in the opposite direction. But even stemming the tide and miraculously reversing course will not reach your second statement position. That is because it will always be a risk/reward issue and the risk of undersized entities not being able to enforce their rights will always be under some relative scale lower than the reward to the CEO (fiduciary duty or otherwise). Look at the solution arrived at with copyright: criminal prosecution. Are you advocating criminal penalties for patent infringement? With all due respect but if you think that the environment is getting better for patent holders, I’d like to drink whatever it is you’re drinking. The PTAB is still killing patents at an alarming rate (if you dig into the USPTO statistics on CBM’s/IPR’s that you mention in your article, you’ll realize that the kill rate on patent claims that go all the way through to a final order is still stunningly high). There are only three scenarios that I see that can restore some order to the patent space: (1) SCOTUS declares the AIA unconstitutional (I say SCOTUS because I have no doubt that the CAFC will reject any constitutional challenges to the AIA); (2) A pro-patent holder bill (e.g. STRONG Act) gets passed by Congress; or (3) Kyle Bass, et al start invalidating pharma patents in IPRs at the same rate the infringer’s lobby is invalidating software patents in IPRs (leading Congress to act). Anon, I’m OK with Injunctive relief. It is a realistic means of determining a market value for an invention and a protection against infringement so the inventor can fire up a company based on the invention. In a post eBay world, (the absence of injunctive relief) I would advocate that patent infringement be criminal. The damages cannot be quantified without an injunction, so put the CEO in jail. 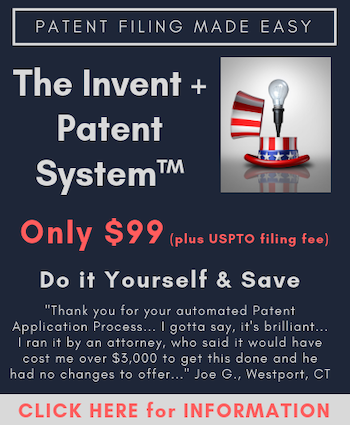 Q: What’s worse than a patent system that routinely denies protection to inventors? A: A patent system that *arbitrarily*, and *unpredictably*, and *inconsistently* denies protection to some inventors, while granting patents to others. One that is so heavily skewed toward empty, evidence-free, contradictory principles that any reviewer can wield it to reach any desired result for any claim. One with consistently high reversal rates at every level of the review apparatus, because every layer of review holds almost no respect for the soundness of the determinations of the level below it. One where opinions differ so frequently, that there are absolutely no repercussions for any reviewer reaching the “wrong” decision, since “wrong” is purely in the eye of the beholder. All of this adds up to a system that is worse than unavailable: one that is utterly undependable. The litigation statistics are plain evidence of this unreliability. Lawsuits among operating companies are sharply up because *that’s the only way to determine that a patent is valid*: to actually litigate it. The presumption of validity of issued patents is out the window – now the only guarantees of validity are issue preclusion and stare decisis – at much-inflated price tags! And there can be no stronger evidence than Apple’s predicament. Apple, the world’s most valuable tech company, obtains a variety of patents on its flagship product – which is promptly copied, in the most intentional and blatant manner, by its primary competitor. And it relied on those duly issued patents to secure a huge verdict, which is subsequently eviscerated, thanks to all of the defensive measures that are now available to competitors in this patent-hostile climate. If Apple, with all of its resources, cannot secure reliable patent protection in this context – how can anyone? Practitioners and patent owners everywhere should be protesting this unreliability in the loudest voices we can muster. This hurts everyone: patentees, competitors, practitioners, the USPTO, the court system… the only party benefiting from this environment is *litigators*, and that’s never a good sign. While I do not disagree in principle with any of your views, you have left out the single biggest entity to benefit from this sordid state: the larger multinational infringer who can most effectively compete on non-innovation factors of size, money, and established power. “Litigators” may benefit, but they are not the drivers here. Focusing on “litigators” will be like a band-aid on a gushing wound: you may stem (slightly) the bleeding, but you will not be addressing the underlying threat. Another not so small problem is the rapid and rampant “press” that for a multitude of reasons (not all of which are in that Big Corp philosophical camp), delight in causing confusion and conflation of the legal principles at the foundation of the patent system. What we need is a reflection and repeat of the drive that led to the Act of 1952. This time, we need to actively and explicitly remove the judicial body most eager to write patent law in its own image (the nose of wax metaphor, both used as a metaphor by Justice Stevens, and mashed by that very same Justice in his own attempts to write statutory law by common law means). Until this aspect is added to the efforts, any efforts will fall short. How many of the current new patent suit filings could be due to rushing to file before potential passage of the pending legislation that would impose a better pre-suit infringement investigation, greater initial allegation specificity, and increased risk of attorney fee sanctions? Also, I have seen so many conflicting reports on the percentage of NPE or PAE suit filings versus real product company filings that I have to take them with a considerable grain of salt, especially without a detailed report on the study and the clear definitions and parameters thereof. As to IPR statistics, those of last month do seem to differ from the prior average, but not 50% for final trial decisions, even if including all the claims for which the PTAB refused to even grant IPR trials for various reasons. So, as for encouraging more patent suits [to give more billing opportunities to patent litigators] this article may be a bit polyannish?